What follows is a series of slides I used for a 90 minute workshop I presented to grade 1-3 teachers. 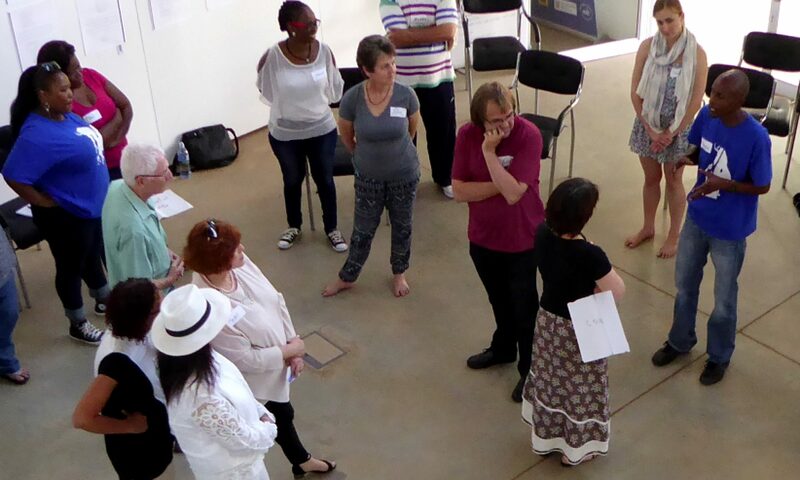 The workshop was done first on 2 Feb 2010 in Cape Town and repeated on 9 Feb in Johannesburg. I did it in partnership with the Kids Development Academy. Thank you to them for a well put together experience! Thanks too to all the wonderful teachers who attended and participated with such enthusiasm. The slides below will probably make more sense to the teachers who attended than to the casual net surfer who happen to come across them. If you have any questions, by all means contact me. • An experience of the power of stry. Between the head that understands and the hand that acts, lies the treacherous landscape of the heart. • How many of you have felt like this in your life?. • Close your eyes and think about bat hanging upside down weeping. • What is he feeling? • Draw this weeping upside down bat. • Lets all pretend to be bats. What clever way can you use your bodies to look like upside down bats? • Let’s close our eyes and think what a bat’s cry might sound like. • Pretend that you are one of the animals or birds at the party and you heard about bat being thrown out. What can you draw/write to make him feel better? • Put it aside for moment. • How many of you have been in Baboon or vulture’s shoes? • Knowing how bat feels, does that change anything? • Are there situation where kicking people out is important? Discuss/ find an appropriate story. • What kind of person are you? • What sort of class are we?